used in the library with the exception of videos which may be checked out. The collections include more than 700 Hmong-related books, 325 Hmong-related theses and dissertations, over 800 Hmong-related academic journal articles, over 3,500 Hmong-related newspaper articles and 311 videos as well as 52 CDs and 32 DVDs. The library likely has the largest collection of Hmong-related theses and dissertations and journal articles of any institution in the United States. The collections also include extensive archives of issues of local Hmong newspapers dating back to the 1990s and Hmong-related articles from mainstream newspapers going back to the 1970s. In December 2013, Hmong Cultural Center was awarded a 3 year grant from the Henry Luce Foundation of New York to support activities of the Hmong Resource Center Library, including expansion and maintenance of the physical research collection, for cataloguing, and for enhancement of various online initiatives. A Minnesota Department of Education Library Services and Technology Act [LS-00-15-0024-15] grant from the Institute of Museum and Library Services is currently supporting an expansion of our collections. A grant from the Moneygram Foundation is supporting the addition of a Moneygram Children's Corner in 2016. 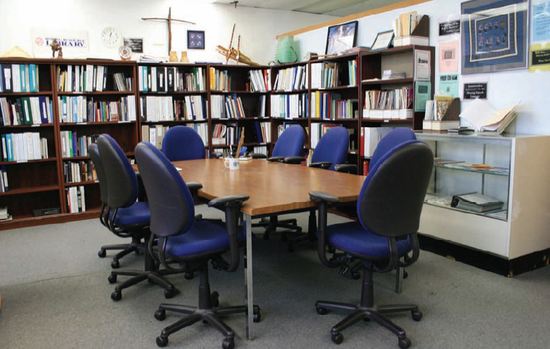 From 2008-2010, the Hmong Resource Center Library was supported by grants from the Saint Paul Foundation, and the F.R. Bigelow Foundation. A 2012 grant from the Saint Paul Foundation Asian Pacific Endowment has supported the upgrading of the library's catalog system. Visit the Hmong History Center exhibits at the Hmong Cultural Center M-F 9-6!